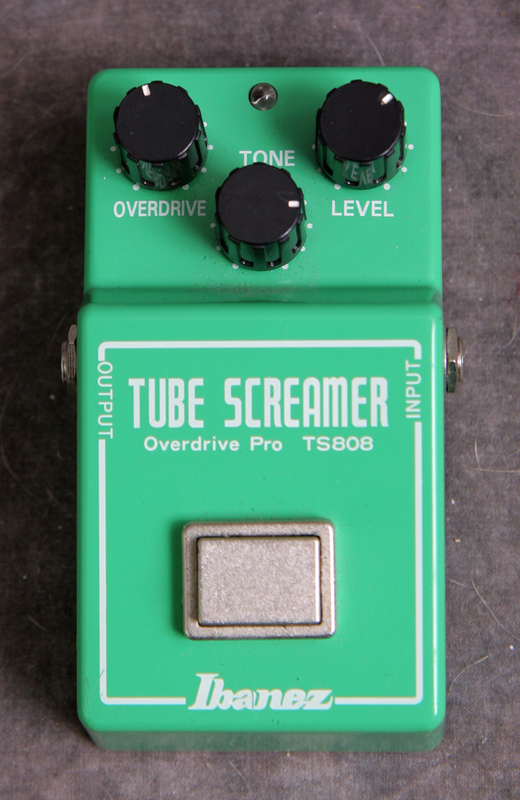 The Holy Grail of tube screamers. This is the incomparable overdrive pedal that vintage gear hounds are always hoping to find. The 2004 TS808 reissue features the same famous square footswitch and the warm tones of the JRC4558 chip and analog circuits of the much-coveted original. Ignore look-alikes. If your tone is suffering from a lack of real warmth, this pedal is the answer. It is a true-to-form rendition with the same streamlined interface of overdrive, tone and level controls. Very clean and works perfectly. This pedal has all the searing tube-like overdrive of its predecessors without the hefty collector price tag of an original.